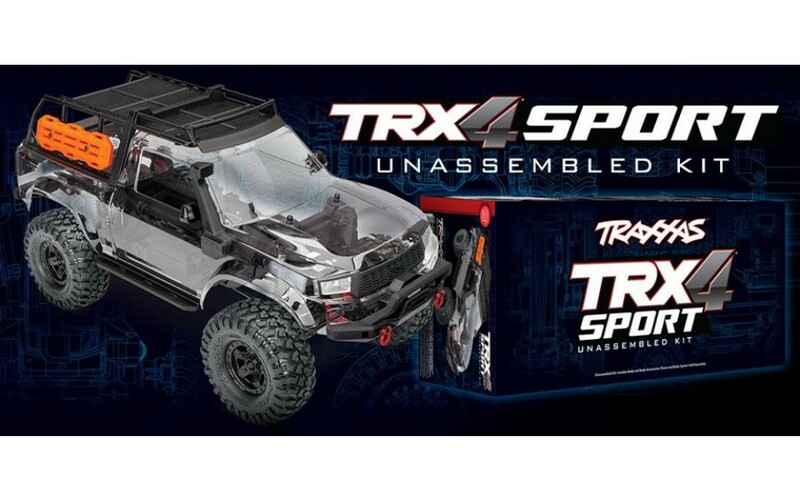 The new TRX-4 Sport Unassembled Kit combines all the technical capability of a TRX-4, with the flexibility to build it your way, for your terrain and off-road mission. 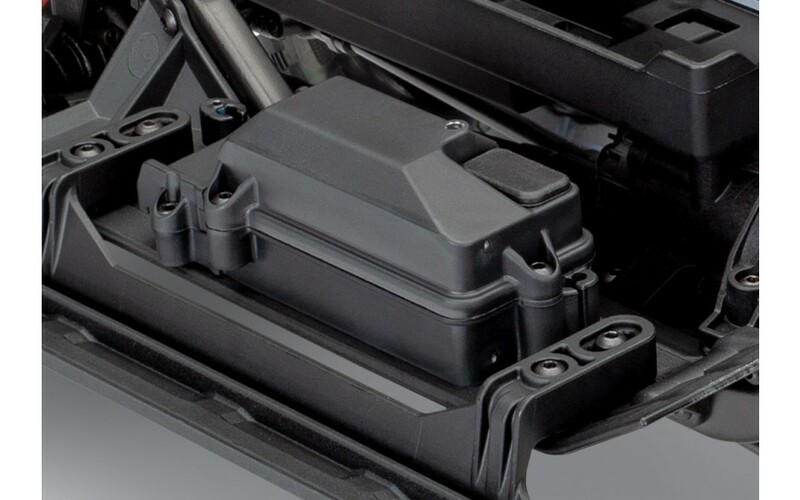 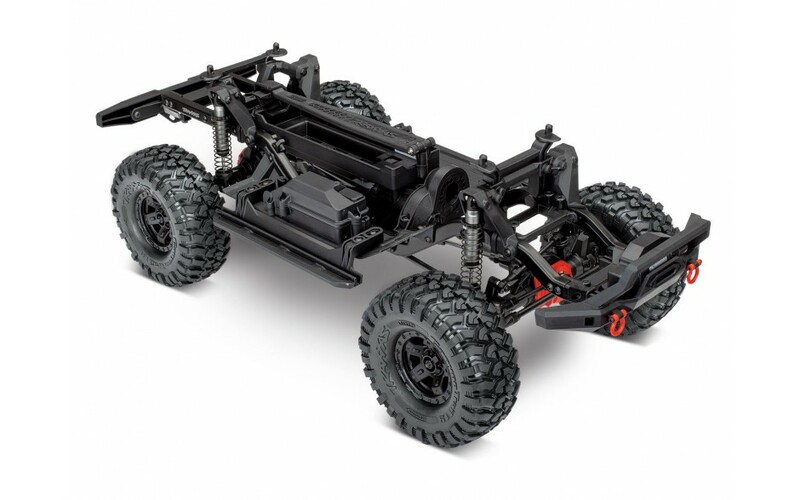 The kit assembles into a roller chassis without electronics, battery, or charger. 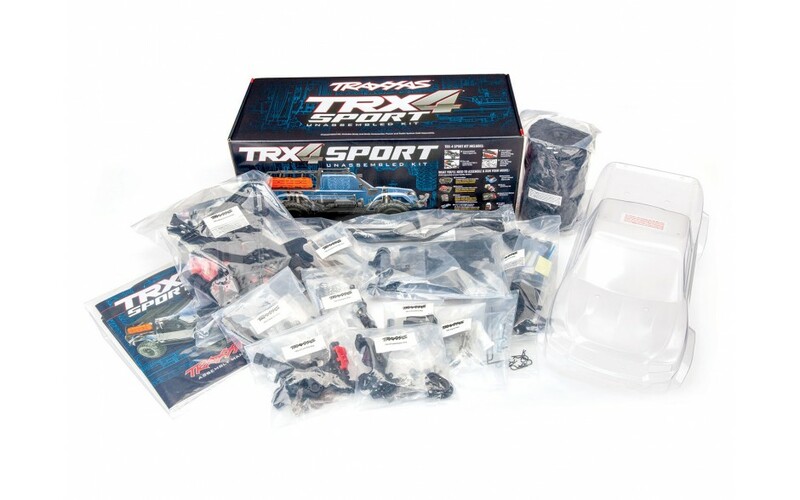 This is the perfect kit for enthusiasts who want to customise the vehicle with their own choice of electronics. 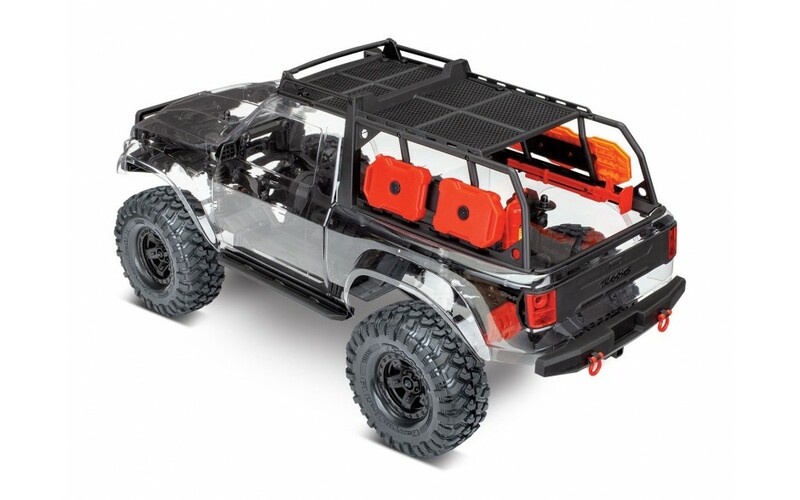 It also includes highly detailed scale accessories that are sure to win points. 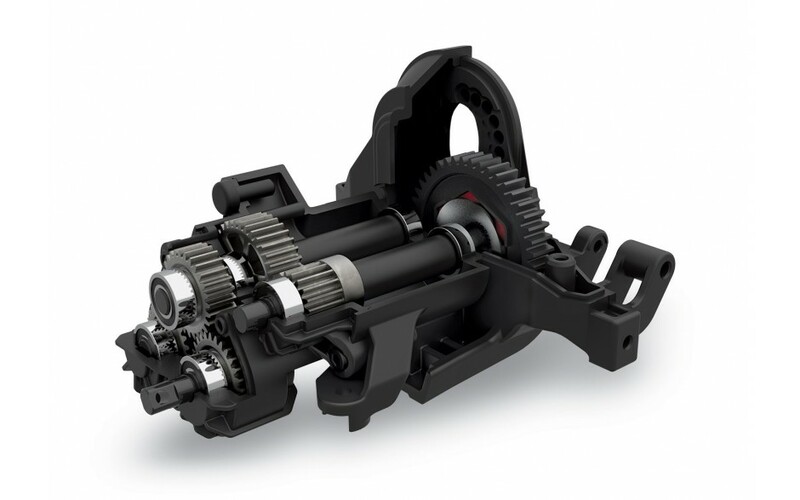 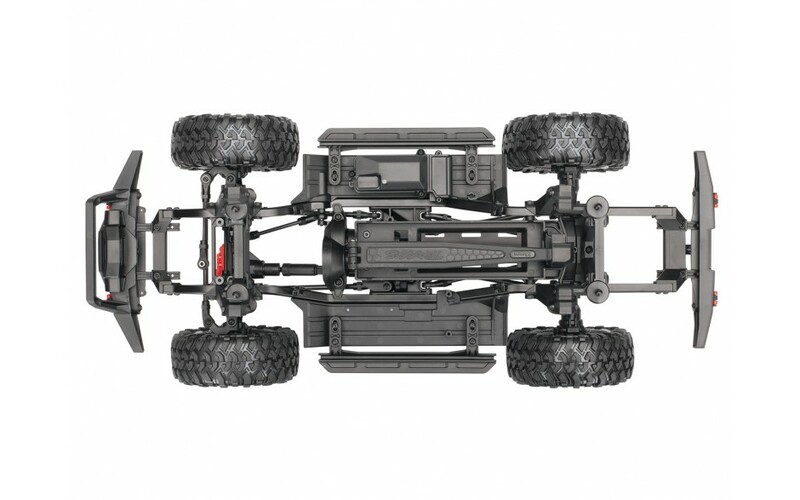 Traxxas makes assembly easy with a full-colour assembly guide with step by step instructions. 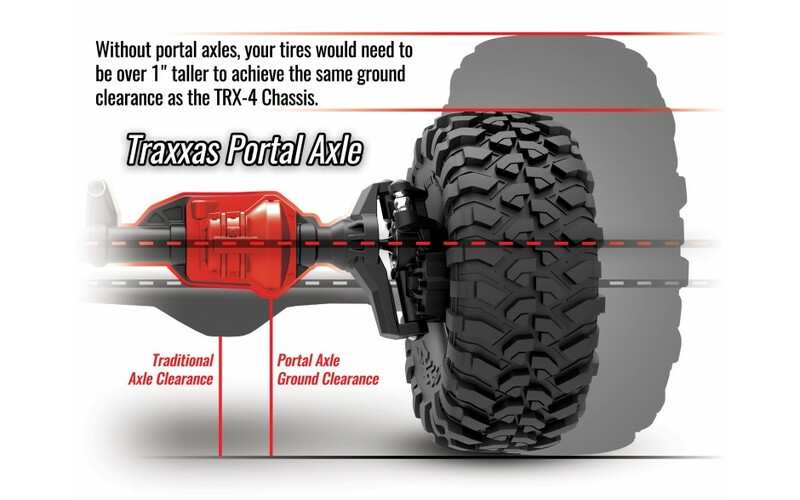 Place your orders now to stock up in time for the spring rush. 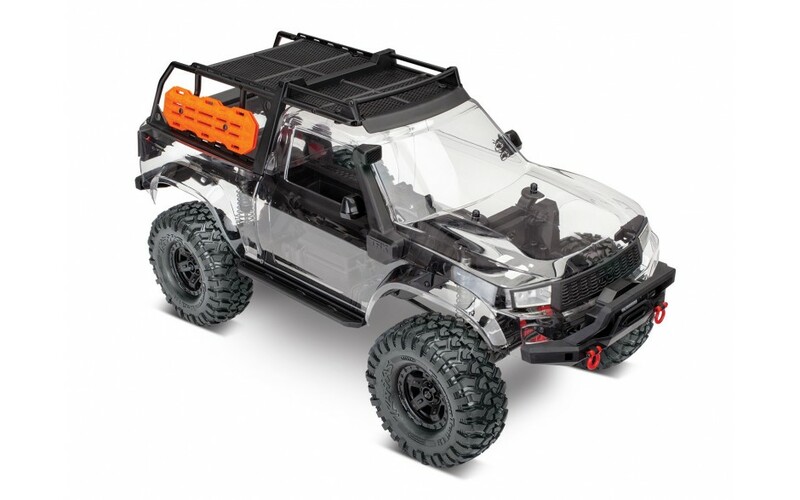 Includes Loads of Scale Accessories! 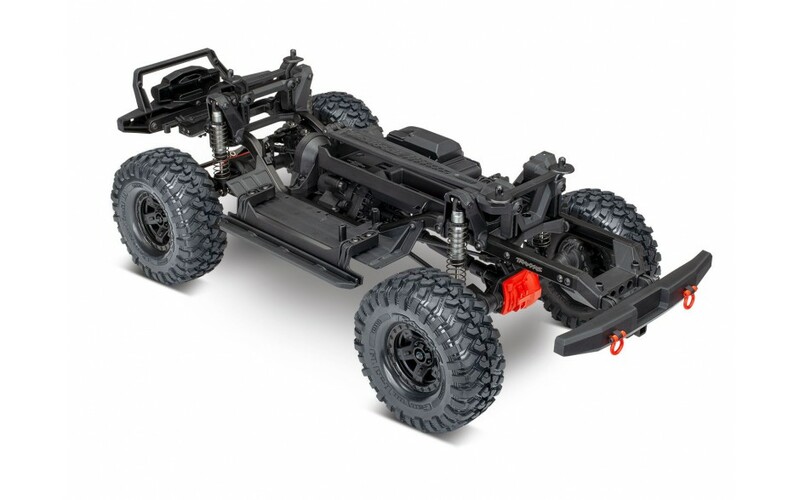 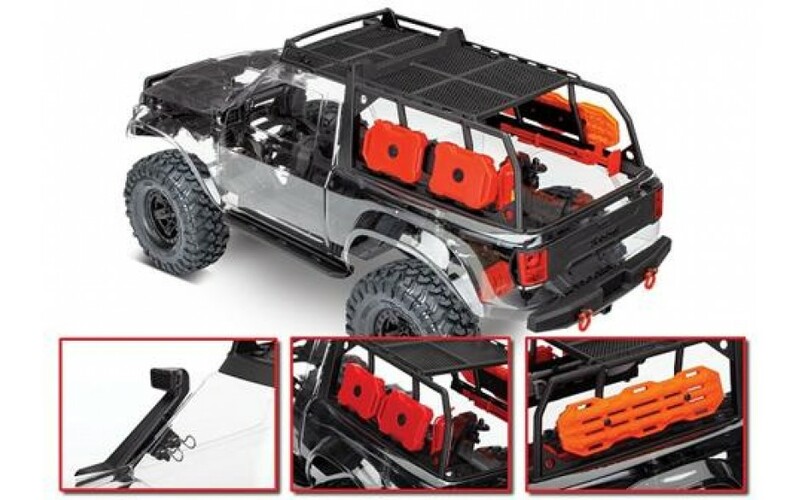 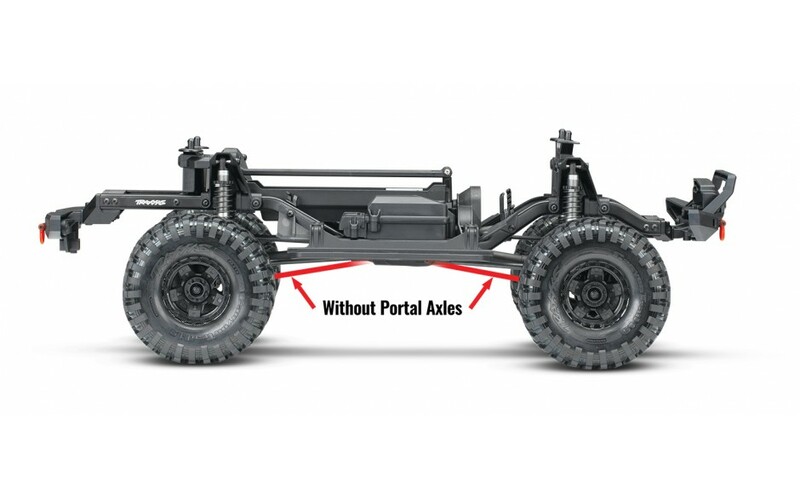 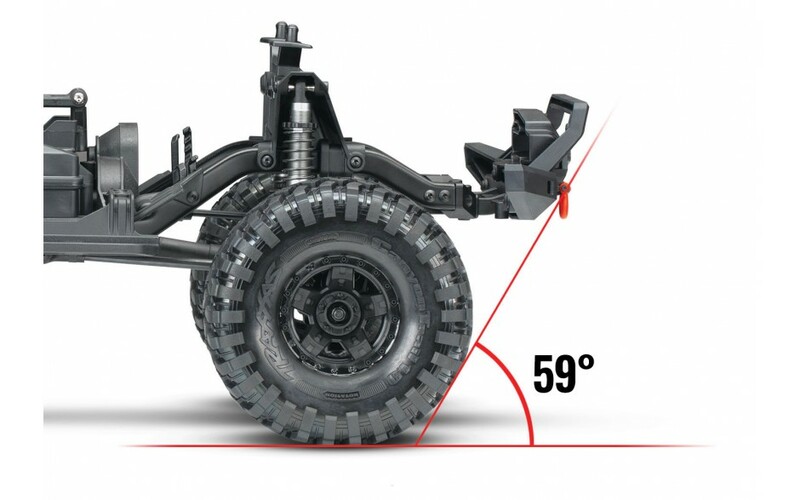 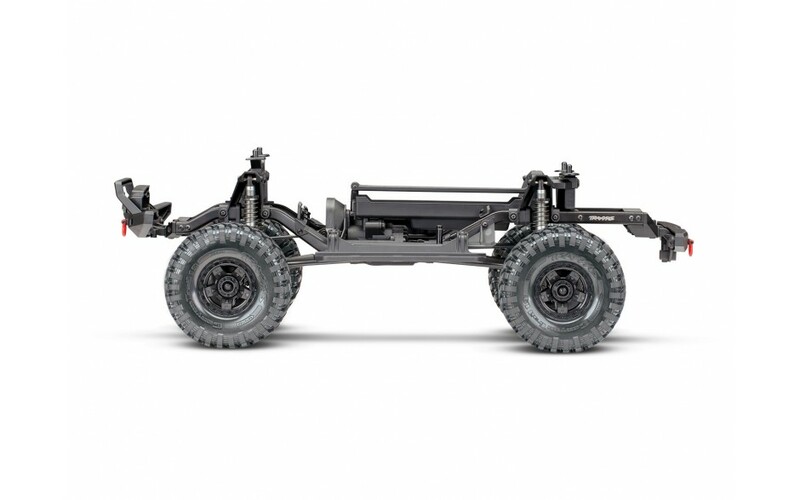 The Traxxas TRX-4 Sport Kit comes fully outfitted with an entire complement of scale accessories as standard equipment. 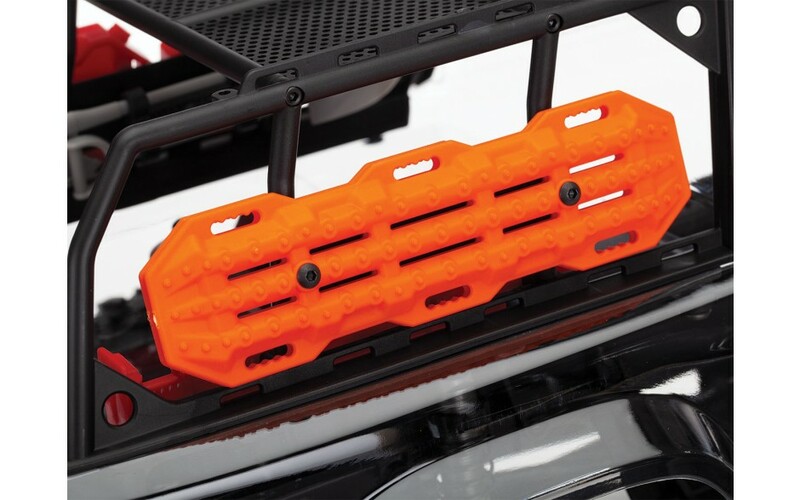 The expedition rack not only looks great, but provides rugged protection for the body. 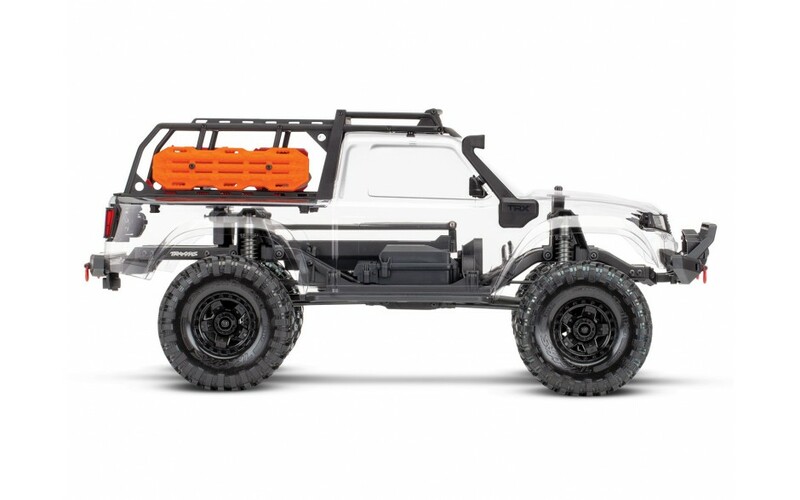 The body and expedition rack are outfitted with a replica snorkel, side mirrors, traction boards, fire extinguisher, jack, and gas cans for maximum scale detail. 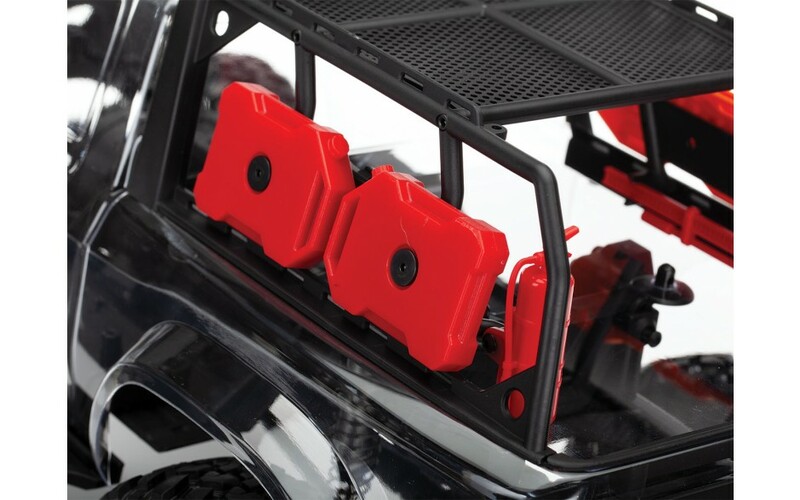 The front and rear injection moulded grill and tail gate also include lenses to make installing LED lights a breeze!